The Best of Teacher Entrepreneurs II: Fun Absolute Value Partner Game- New! 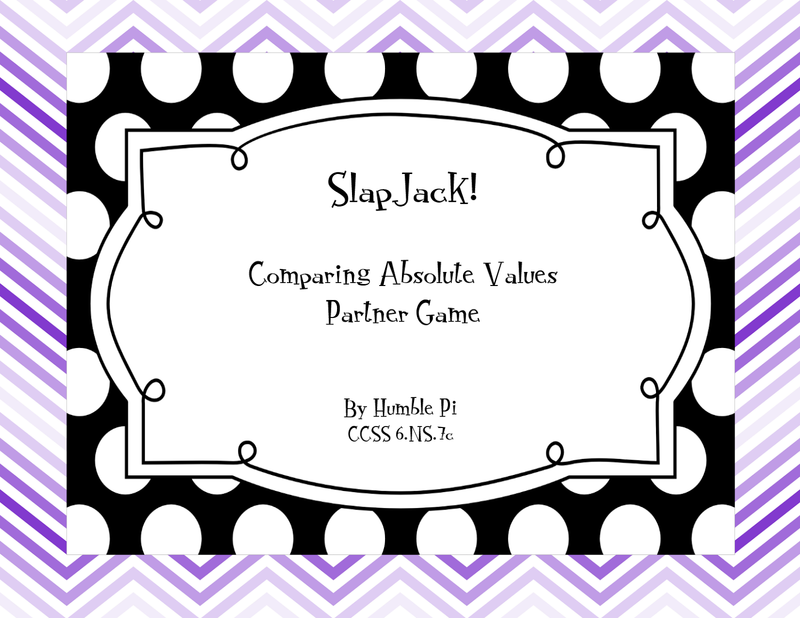 Fun Absolute Value Partner Game- New! Students love this fast-paced, fun, and competitive game! In this super fun game, students compete against a partner to be the first to identify the integer with the greater absolute value. Color and black and white versions included. Aligned to CCSS 6.NS. 7c, but great for 7th and 8th grade review, too.